News of British Prince Harry and Meghan Markle's engagement spurred reports variously predicting a royal blowout of a wedding and "non-traditional" nuptials. The happy couple might consider going the low-key route — or whatever passes for low-key compared to William and Kate's 2011 extravaganza. A modest ceremony would fit with former wild-child Harry's hard-earned maturity. Harry, just 12 when his mother, Lady Diana, died a victim of her royal fame 20 years ago, well knows the pitfalls of a life that mixes luxury and service to country with unrelenting scrutiny. He's already broken the Windsor mold — not through past bad behavior (he was a piker, compared to his late grand-aunt, Princess Margaret), but via his evolving public persona. Harry recently revealed his long struggle following the death of his mother, killed in a Paris car crash while fleeing paparazzi. The fifth in line to the throne also has questioned whether he and his relatives even want the big job. In another era, his courtship with Markle – an American, a commoner, an actress and a divorcee – would have sparked an Edward VIII-level scandal. Still, Harry found himself speaking out last year against the haters targeting Markle’s parentage (her mother is black and her father is white). Queen Elizabeth, who was 10 when her Uncle Edward abdicated in 1936, and Prince Philip wished the newly engaged couple "every happiness" Monday. That doesn't mean, though, British taxpayers need to spend tens of millions of pounds on a media event. Harry's older brother, William, and Kate put on an unforgettable show, recalling Diana and Prince Charles's 1981 so-called Wedding of the Century, a spectacle viewed around the world. Unlike Diana and Charles, William and Kate, who are expecting their third child, appear to be a solid team. William and Harry – dubbed "the heir and the spare" in their youth by the British press – seem to be close. But they are their own men. 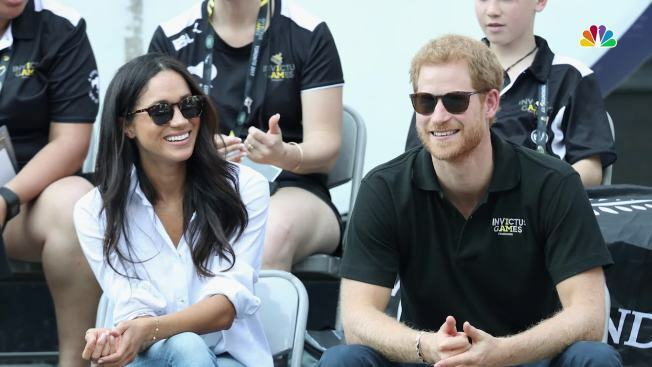 Harry might want to spare himself and Markle extra wedding stress, and ply a down-to-earth path as they begin a non-traditional journey destined to followed, in one form or another, by countless millions.